I recently finished a commission to create a short introductory animation for Family Centers, a nonprofit charity based in Fairfield County, Connecticut. Their mission statement is, "Empowering Children, Adults, Families and Communities to Realize Their Potential." The organizing principle behind the piece is the idea that child rearing is both a marathon and a community effort, and that the right system of timely support and advice can help ensure success over the lifetime of a child. You can find out more about the project at my portfolio site, linked below. A project for a motion design class I took that involved reimagining the title sequence of a preexisting movie. 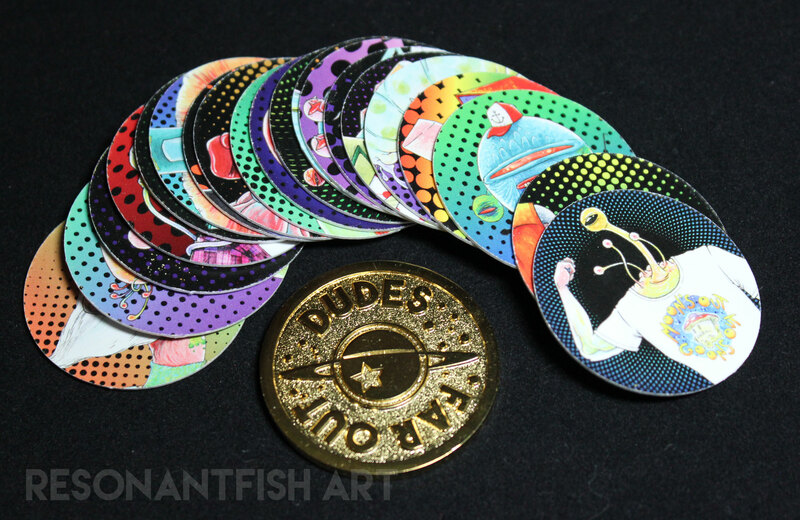 A set of 20 retro-inspired pogs/milkcaps.